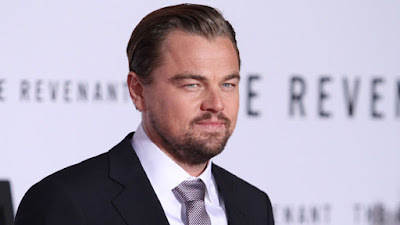 After being courted for several months, Leonardo DiCaprio will star in Quentin Tarantino’s untitled Charles Manson movie, sources confirmed to Variety. DiCaprio will play an aging, out-of-work actor in the film. Margot Robbie, meanwhile, is being eyed for the role of Sharon Tate. He is repped by LBI Entertainment. As previously reported, Tom Cruise is also being pursued to star in the director’s ninth feature. Sources now tell Variety that Tarantino is interested in casting Al Pacino in the film as well. Sony is handling distribution. The movie will hit theaters on Aug. 9, 2019, Variety has learned. Opening on the 50th anniversary of the day that the Manson family committed the LaBianca murders and the day after Tate was killed, the film will head off against “Artemis Fowl,” Disney’s adaptation of the popular sci-fi and fantasy series. Sony beat out several bidders, including Warner Bros. and Paramount, for rights to the film. The movie — shrouded in secrecy — is set in 1969 and is believed to involve Charles Manson and the Manson family murders. The director has told media outlets that it’s not a biopic, but is an ensemble film set during the tumultuous time period. It’s the first pic that Tarantino is releasing without the Weinstein Company. A group of investors led by Maria Contreras-Sweet is in a strong position to buy the Weinstein Company following sexual misconduct allegations against its disgraced founder Harvey Weinstein. DiCaprio will play an aging, out-of-work actor. That's a good role for him to play. Since it's REAL!!!!!!!!!!!! HA HA!! Tom Cruise would be good in this movie because he's into Scientology and he's already whipped. Let's see, what can he play? Oh yeah, he can play the guy at the convenience store that sold Bill Garretson his TV dinners. LOL. I wonder what TV dinner he bought. I like that Swanson's Fried Chicken TV dinner. It's got the fried chicken, mashed potatoes and green beans. Microwaves weren't big back then, they caused cancer. So he probably had to put it in the oven to cook. Takes about 25 minutes. I think he also bought a pack of smokes. Probably Marlboro Red shorts. Plus according to him, he was "listening to music and writing a lot of letters". Did they find those letters? And who was he writing letters to? I swear I could spend months on Bill Garretson. Maybe, someday I will! The cigarettes were L&M Branded as can be seen in Cielo Drives photo archives Guest house pictures along with letters .